(SPOT.ph) The best romance movies are usually the ones that avoid the typical clichés, while still making its audience root for the central love story. Such is the case for many local indie films, which take the best parts of the genre while adding something new and different. It's a tricky balance, but when done right, it works. Such is the case for a promising new indie film, Kita Kita, which dropped its first teaser trailer recently. 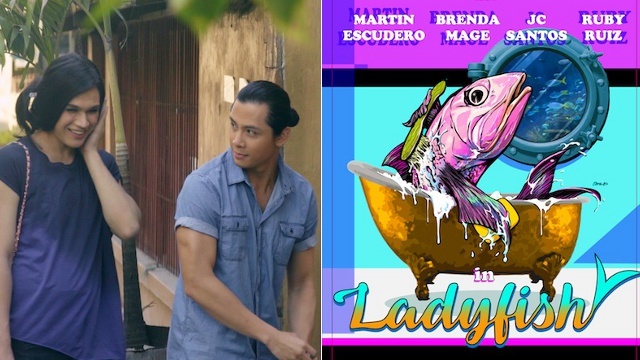 The two-minute clip features stars Alessandra de Rossi and Empoy Marquez as an unlikely couple flirting and having pretty adorable banter over bowls of ramen. We won't spoil the twist at the end, but let's just say you're in for a pleasant surprise. (We're honestly pretty intrigued!) Kita Kita is directed by Sigrid Andrea Bernardo, who previously showcased her unique storytelling in films like Ang Huling Cha-Cha Ni Anita (2014) and Lorna (2016). Kita Kita is one of three Filipino movies competing at this year's Osaka Film Festival (the other two are Jerrold Tarog's Bliss and Borgy Torre's Tisay), which runs until March 12. The film is produced by Piolo Pascual, director Joyce Bernal, Suzanne Sarte, and Erickson Raymundo. Throwback: Remember Michelle Madrigal from Star Circle Quest?